To beat the The Beach, Hawai’i went to its bench. 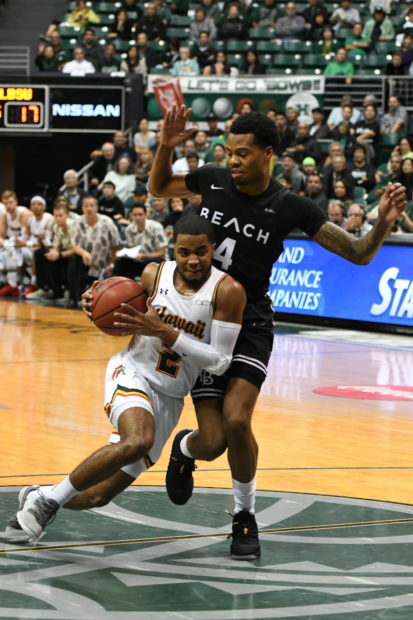 The Warriors’ reserves produced 35 points – many coming in key stretches – Thursday night to lift UH to a convincing 74-57 victory over visiting Long Beach State in Big West Conference men’s basketball action. 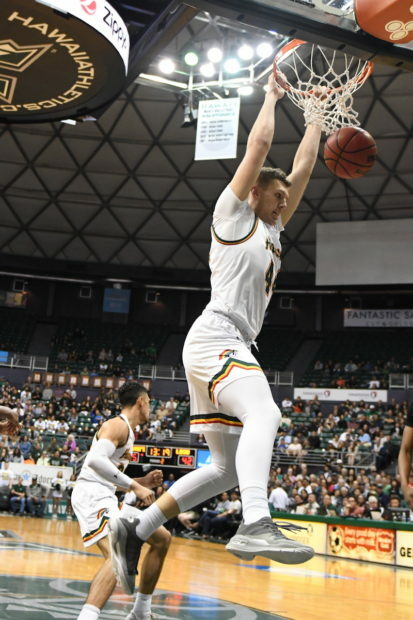 An announced crowd of 5,293 at the Stan Sheriff Center watched sixth-man Brocke Stepteau score 16 of those points to go with five assists, four rebounds and zero turnovers as Hawai’i improved to 13-7 overall and 4-2 in league play. Eddie Stansberry added 14 points and five rebounds and Zigmars Raimo contributed 11 points, eight rebounds, two assists and one steal. Mason Riggins scored 18 points and Deishuan Booker added 14 points for the 49ers, who fell to 8-14, 2-4, with their fourth straight loss. “Great win for our team,” Warriors coach Eran Ganot said. “I’ve been saying that we’ve been playing well, we’ve been playing good basketball … the last two games, we’re defending, holding teams to under 40 (percent shooting), under 30 (percent) from 3 (point distance), and we’re winning the boards. Why that’s so important is because you can withstand shooting this way like we had tonight (41.7 percent from the field, including 25 percent from 3-point range). We had some great shots, and we have great confidence in our shooters, but they just weren’t falling. Long Beach State jumped out to an 11-2 lead in the first five minutes but UH responded with a 13-4 run and tied it at 15-15 on Stansberry’s 3-pointer from the right corner. Soon after, Stepteau scored on a three-point play to put the Warriors ahead for good at 18-17 with 8:48 remaining in the half. The comeback was fueled largely by reserve wing Samuta Avea’s back-to-back 3-pointers from the left corner, freshman center Mate Colina’s bank shot that kissed off the glass from a left-handed hook and Stepteau’s driving layup after a crowd-pleasing hesitation move in the paint. “I just wanted to come out with more of an attack mentality, because I felt like I could help my team more that way — just getting into the paint and kicking out to shooters, or getting second penetration,” said Stepteau, who finished 4 for 8 from the field and 8 for 10 from the free throw line. 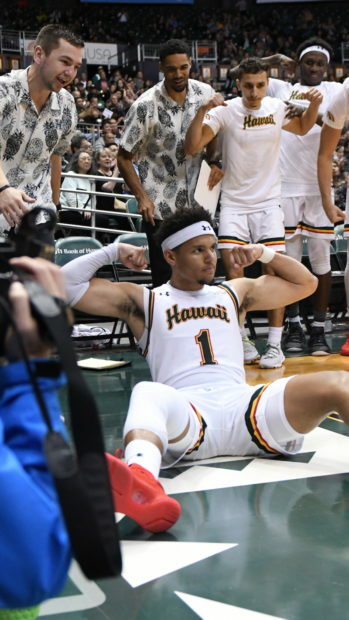 Hawai’i stretched the lead to 34-22 after Colina’s layup with 1:45 left, but the 49ers later closed it to 36-28 when Breamon Richard banked in a Hail Mary from halfcourt barely before the intermission horn. Long Beach State then opened the second half with a 12-5 surge to close it to 41-40 on Riggins’ layup with 15:08 remaining, but the Warriors later went on an 8-0 run to stretch the lead to 57-47 after Drew Buggs’ three-point play with 8:19 left. The Beach could not get closer than eight points the rest of the way. Ganot said he was pleased to see how his team was able to comfortably close out the game, especially after weathering a rough patch shortly after halftime. The Warriors will close out their 10-day, four-game homestand Saturday with an 8 p.m. showdown against UC Santa Barbara. The Gauchos, who lost a home game to UC Irvine on Thursday, are tied with Hawai’i for third place in the Big West at 4-2. I must say this team is starting to look like a true contender for this league. They really are a definition of team play. One or two guys always have bad games, but others pick up the slack. Sheriff was missing everything but Brocke was right there to come in for him. The game before, it was the opposite. UCSB will be a big test but I like UH chances at home. ChuckCheese.. agreed! Great team play and focus down the stretch. A game, but just as you said other players will step up when needed. 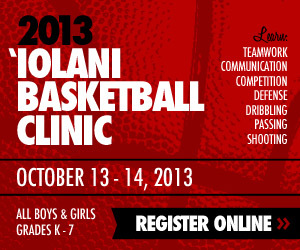 I feel the Bows are prepared for UCSB. Why isn’t Owen playing some ?